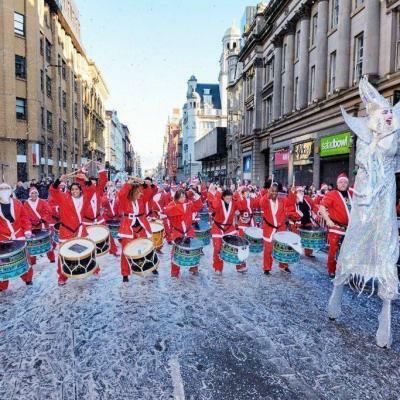 Katumba is pairing up with Liverpool One and Viva Brasil Samba Shows to raise money for children in extreme need both in Liverpool and abroad with a one of a kind carnival parade this Saturday 10th of December. Image captured by David Ellison Photography. 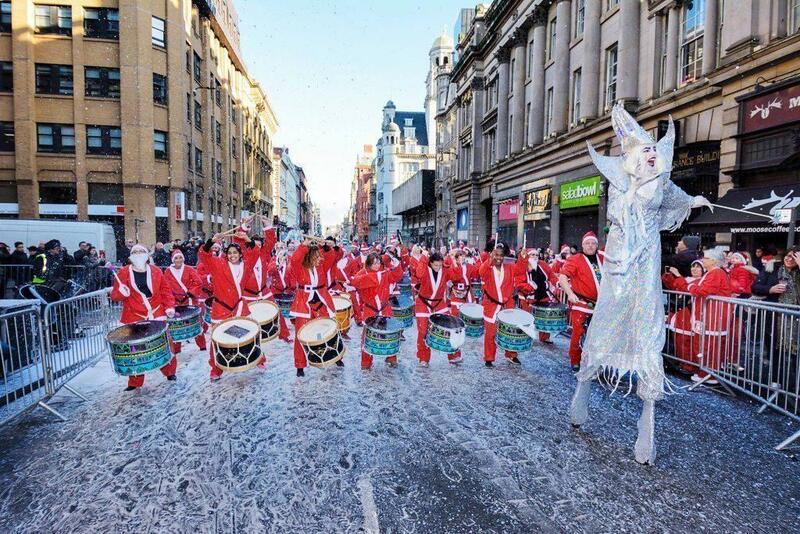 Katumba, the largest drum ensemble in the North West, is pairing up with Liverpool One, Viva Brasil Samba Shows and this this holiday season to raise money for children in extreme need both in Liverpool and abroad with a one of a kind carnival parade this Saturday 10th of December: Santa drummers drumming and samba dancers will be entertaining the shopping crowd on a winter carnival extravaganza. The parade starts at 12pm in front of Sugar House steps (by John Lewis) and continues throughout L1 until 2pm, bringing a lively atmosphere to the shoppers while collecting money for much needed causes, proceeds will: provide emergency assistance and safe spaces for children victims of war (through War Child); help Katie, age four, from Wallasey, who has been diagnosed with leukaemia for a second time and is awaiting a bone marrow transplant and last but not least an orphanage in Brazil. Juliana Landim, Katumba’s Co-Director explains: “One of our main missions in Katumba is to give back to the community and support those in need through our art form. We do that on a regular basis through our activities that are not only fun, but have a positive effect on those struggling with anxiety & depression, social isolation, low self-stem, sedentary life style, etc…this holiday season though, we want to bring all the music, movement and energy we create to help some of those who are most vulnerable this season: children who are suffering the effects of life-threatening diseases or whose lives are in danger due to acts of war in their countries. Katie has leukaemia initially diagnosed in 2013, after nearly 3 years of treatment endless operations and procedure she finally finished treatment 7 months ago. We had a huge end of treatment party to celebrate the end of the worse part of our lives. All Katie’s friends and family had the best night of their lives, the pain suffering was finally over and we had our Katie alive! Her strength and resilience was even recognised when she won The Pride of Merseyside Courage Award 2015…Yesterday we got the devastating news it was back, after we fought so hard, after we thought it was all over! It was back! Unfortunately relapse is not as easy to battle as initial diagnosis and we have been informed that the best chance of having our beautiful angel survive, is to have immunotherapy treatment in Seattle, but only one child per month in the UK are accepted for the life saving treatment just 5% of all children’s relapses, due to the cost. We have been informed we need to gather funds in case we are not the “lucky ones” chosen for this treatment to save our girl. Please help save Katie’s life! Donate anything you can, all funds will go to help another child with cancer if Katie gets chosen. Children educational centre at an orphanage serving one of the poorest communities in Recife-Brazil. Believing that every child deserves access to education and food, the centre provides a place for children who otherwise would be on the streets, education and food. Katumba is the North West’s largest, and newest, drum ensemble. With 80 drummers-and counting- Katumba Bloco* celebrates diversity and multiculturalism through music, movement and visuals. Our ‘Katumba Pro’ delivers a smaller troupe (which can be an all-female band if desired) with an astonishing level of movement and musicality that never fails to set streets, stages and stadia ablaze with positive energy! Founded by Musical Director Ritchie Tunstall (formerly of Batala Liverpool), and Brazilian Movement Director Juliana Landim, Katumba artfully fuses traditional Brazilian rhythms and modern beats, and high impact choreography all around. 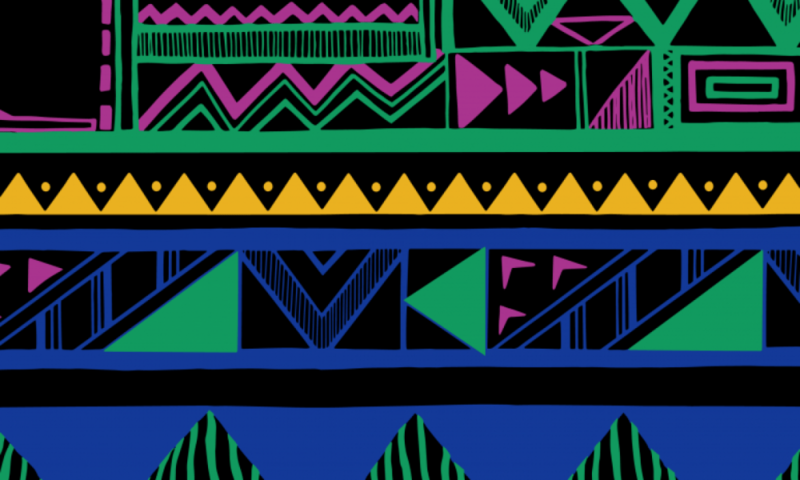 *Part of the BrazUKa International family, Katumba has a strong ethical and cultural identity, bringing communities together, increasing Health & Wellbeing through music & movement and developing local, national and international connections.